Which do you think is greater: the combined weight of all the insects in the world, or all the humans? How many flowers does it take to provide the pollen for a pound of honey? What is the most venomous insect in the world? And how many dust mites are there inside your mattress right now? 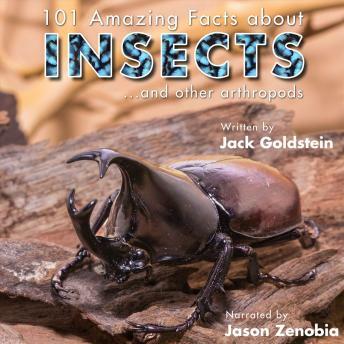 In this fascinating audiobook, narrator Jason Zenobia answers all of these questions and more as he talks us through over one hundred amazing facts about insects and arthropods, looking in detail into their incredible world.